Retractable Awnings | L.J. Stone Co. Inc.
Is Your Deck or Patio Too Hot? Looking for Protection from the Sun? Homeowners in Muncie, Anderson, Kokomo and the Indianapolis, IN area have found the shade solutions they need at L.J. Stone Company. We have retractable awnings and patio cover solutions for your hot deck or patio or your large glass windows and patio doors. Now you can be outside to enjoy all the fun warm weather brings, without the exposure to the direct and harmful UV rays of the sun. 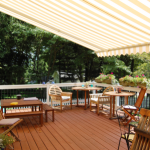 Not only do retractable awnings and patio covers bring shade and comfort to decks, patios, terraces, and pool areas, they will help protect your health and the health of your family. Simply open when you need the shade, and leave closed when you don’t. No more languishing indoors because you can not bear the blistering sun. 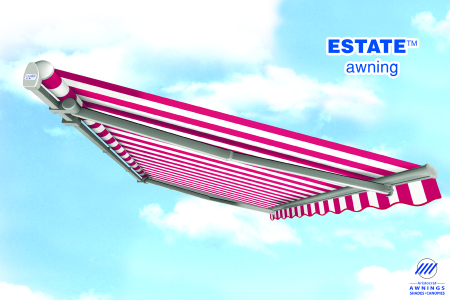 With our retractable awnings you won’t miss a thing. Plus, you will be amazed at how much you will save. Not only do retractable fabric awnings block out the sun’s heat, reducing your air conditioning bills, they also block 94% of the suns harmful UV rays, helping to prevent fading of carpets, drapes, and upholstery in your home. And because the awnings are retractable there is no expensive replacement or removal costs in the winter. Comfortable shade & shelter at the touch of a button! 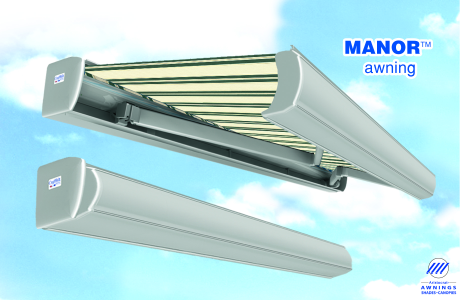 Request Your FREE awning Information Guide HERE. 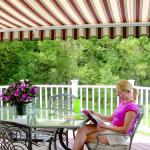 20 pages on the various awning and shade protection products available for your home. Learn what’s available before you spend your money. 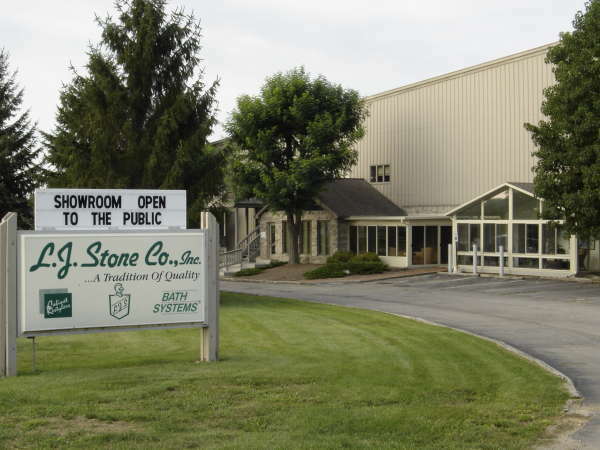 LJ Stone Company services the home improvement and remodeling needs of Central Indiana- including Muncie, Anderson, Kokomo, New Castle, Marion, Richmond, Indianapolis, Greenfield, Greenwood, Columbus, Noblesville, Carmel, Rushville, Connersville, Portland, Winchester, and Hartford City. We offer vinyl replacement windows, insulated vinyl siding, sunrooms & patio enclosures, retractable awnings, exterior steel & fiberglass entry doors, gutter cover protection, kitchen cabinet refacing, acrylic bathtub liners and easy access bathtub to shower conversions.